« Rediscovering America – Guest Post and Giveaway! When Lewis and Clark were boys, there was no system of public education in America. 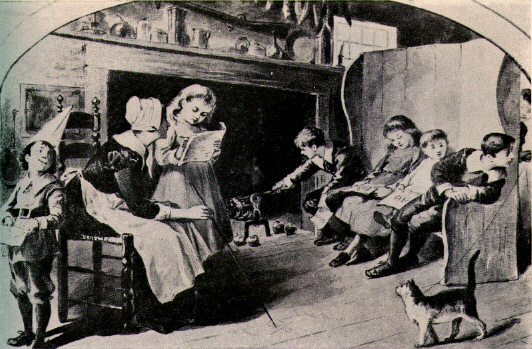 Children were schooled by friends or relatives either in their own home, or at somebody else’s home nearby. Well-to-do families sent their children to schools run by private tutors, which usually meant that the child would have to leave home and live with either the tutor or with a relative. But these private tutors were expensive, and even many wealthier families could afford only a few years of education. Meriwether Lewis was thirteen or fourteen when he left his family in Georgia to return to Virginia for school. 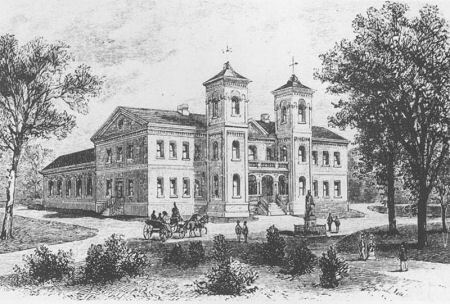 According to Lewis’s biographer Richard Dillon, Lewis attended school for two years at the Albemarle Classical School, which was held in a “in a rude log building on the lawn of the Edgeworth farm.” The tutor was Parson Matthew Maury, the father of the boy who would become Civil War naval hero Matthew Fontaine Maury. From Maury, Lewis got a foundation in the usual subjects: reading, writing and arithmetic, plus a smattering of Latin, Greek, and natural science. Young Napoleon Bonaparte - a dead ringer for Lewis? He was always remarkable for perseverance, which in the early period of his life seemed nothing more than obstinacy in pursuing the trifles that employ that age; of a martial temper and great steadiness of purpose, self-possession and undaunted courage. His person was stiff and without grace; bowlegged, awkward, formal and almost without flexibility. 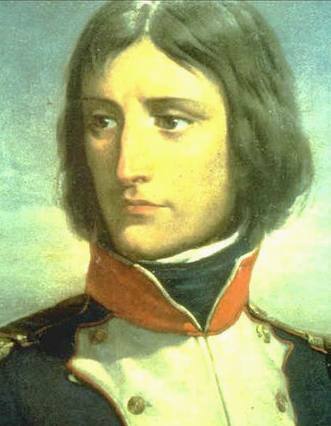 It bore to my vision a very strong resemblance to Buonaparte. Lewis endured Everitt’s teaching for only a short time before transferring to the school of the Reverend James Waddell, whom he liked better and considered a “very polite scholar.” He wanted to stay at Waddell’s for a couple of years, but the press of business at his late father’s plantation was growing. By the summer of 1790, Lewis was spending a lot of his time working at Locust Hill. The death of his stepfather in 1791 ended Lewis’s hopes for formal education, and he reluctantly traded in his schoolbooks for the plow. Little is known of the education of William Clark. Clark was likely taught at home, along with his nine brothers and sisters, or at the home of a neighbor. Had the Clark family stayed in Virginia, William might have studied with a tutor, but the family moved to the Kentucky frontier in 1784 when young William was fourteen, and such amenities were simply not available. Clark may have been tutored by his older brother, George Rogers Clark, who had a year or so of formal education and a lifetime of wilderness skills to teach his young brother. Despite Clark’s lack of formal education, he was obviously intelligent. Clark rose to the rank of captain in the Kentucky militia by the age of 20. His skills included military command, engineering and construction; he could survey land, draw maps, and lead pack trains through enemy country. Clark knew how to fight the Indians on their own ground and how to negotiate with them from a vantage point of respect. He also managed his family’s finances. It is easy to make fun of Clark’s creative spelling, but phonetic, non-standard spelling was nothing unusual in those days. 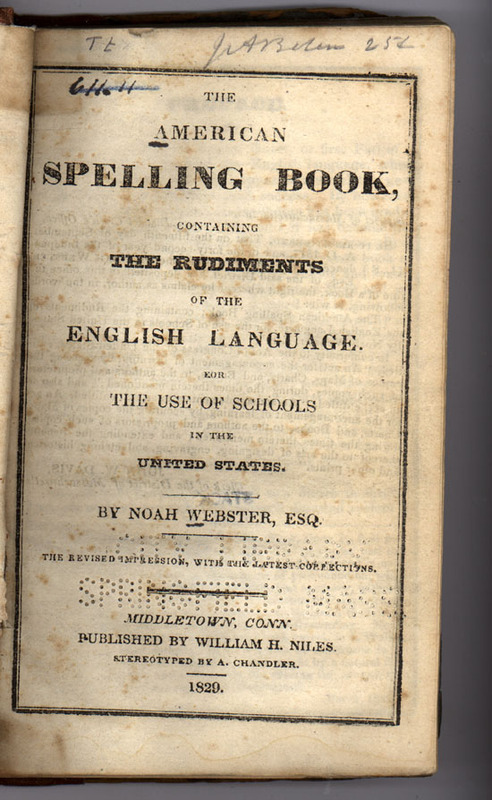 Nobody even proposed a standard method of spelling in America until Noah Webster’s Speller came out in 1783. By that time, William and his family were packing up for Kentucky, and he had other things besides schoolwork on his mind. Interesting article, I particularly found the except under the photo of the school amusing ‘The College of William and Mary: #1 Party School in Early America’. Informative post. Great article! I love reading about the education of historical figures! Amazing post — sadly, it makes me very frustrated to think about the current school systems in America. Although, I think I turned out okay. Very interesting. Thank you for posting this. I, like your first commenter, found the picture of William & Mary to be very amusing. This was a bit before my time, but nevertheless, I like to look back fondly on these simpler days. Meriwether Lewis always reminds me of Lee Meriwether, the actress. I always enjoyed seeing her when she was on the TV. And they were actually related, too! Life was simple back then, technology was primitive, and invention stagnant. Nowadays, we need much more education to even survive. that”s amazing.i liked the blog very much.that time the education really matters a lot but now the time the education is only like a word that does not matters the young generation. I should like to use that sentence in conversation today. Unfortunately, you will probably have the chance. What an absolutely interesting post- it was full of new information for me. This is why I love checking out other people’s blogs…. glad to visit on this blog ..
Nice update on the standardized spelling subject. It’s amazing how many would-be historians fail to understand that when quoting from old letters and diaries. Great post…and love the whole concept of the blog. Great lists of resources! You must not forget that Meriwether did have a crush on Matthew Maury’s daughter, Millie. In fact, according to John Bakeless’s book “Lewis and Clark:Partners in Discovery”, she never forgot him;when she was on her deathbed she asked if she could hold his portrait and look at it one last time. Perhaps he hadn’t forgotten her either. An intriguing although tiny piece of little-known information. wow, you made your research well. so happy to read those information how education started. anyway, best regards to blogger like you….